Relish the intriguing contrast of fresh aromas in Mont Blanc Legend men's eau de toilette. The fougere composition of aromas includes lavender, oakmoss, geranium and bergamot with base notes of sandalwood, tonka and evernyl to ground and balance the scent. This travel size bottle is perfect for taking to the office or gym. This one is every ladies top smelling catch. This is a must have. One of the best smelling cologne’s out there. You won’t be disappointed. 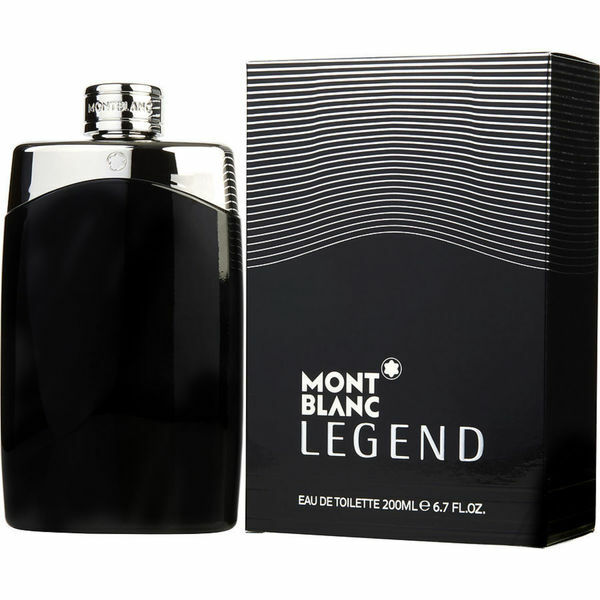 I purchased Mont Blanc Legend Men's 6.7 ounce Eau de Toilette Spray for a Christmas gift. I was shocked that the price was so inexpensive for the larger size bottle. It arrived on time and not damaged (unlike other online companies). I am very pleased and will purchase more items through Overstock. My hands down favorite scent. My wife bought Mont Blanc Legend for me a few years ago and ever since then I keep re-buying when I run out. I was able to buy during a 50% off sale and couldn't believe the price. The 6.7-ounce version will last me for years. I love this cologne is the perfect aroma and the essence is amazing is very musculan and manly. And the price is perfect you can’t get at this price any where else. Bought this as a Christmas gift for my uncle . He is obsessed with Mont Blanc and loved this present . Great scent . My aunt was pleased with it too ! This men's cologne smells amazing, always looking for the next great scent for my man and my grandson, you will love this! Would definitely recommend for anyone that wants to smell amazing! The best price. Quick delivery. Authentic and arrived on time. Great purchase. Great Fragrance for men. I wear it once a week and it lasts all day long. It's an adult Abercrombie and Fitch fiece type of Fragrance with a strong and longer lasting scent. I have never worn an aftershave and been given as many compliments. Simply love this fragrance. Best price you will find for this volume, genuine product, no nonsense, great delivery and product always in perfect condition. I could not recommend this more - brilliant. I really love the way this stuff smells. Love this and always get compliments! Choose this for my son. The written information on the product said it had a fresh smell. He wanted something new and fresh. Great saving as well on the Pre-Black Friday sale. It smells amazing on my boyfriend !